In My Truck Wash Europe we offer you the possibility of starting a successful business assured by our leadership and experience in the sector of external washing of industrial vehicles. My Truck Wash is the leading company in Spain in the automatic washing of industrial vehicles and a recognized brand within the sector in constant adaptation and improvement of customer service. My Truck Wash offers a complete training on the operation of the car wash and the support to the franchisee, both initial and subsequent to the startup of the franchise. 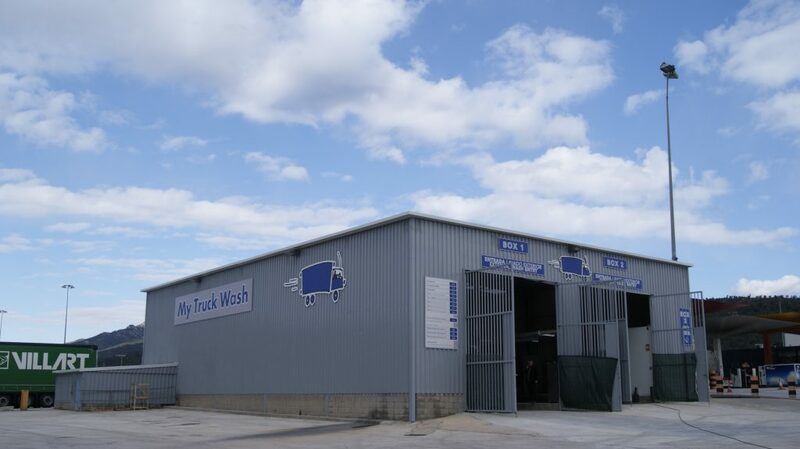 My Truck Wash provides its franchisees access under preferential conditions to chemical suppliers and waste removal managers for better wash quality and service. We know the market and customers can give access to databases and lists of customers and contacts, facilitating the commercialization of the business. Always with the support of our commercial team. We care for and respect the environment. With clear commercial sense, oriented towards the client. Widely related to the world of transport, which have an important network of contacts within the sector. With a degree of solvency appropriate to the investment to be made. Groups specialized in investment in franchises and investors with land available. Centralized management of high clients, incident resolution, high / low license plate management, BBDD contact lists. Support from our sales team Visit and follow-up of fleets and transport associations.